Do Your Customers Love You? Are You Letting Your Customers Tell The World? In 2013, Bazaar Voice, an aggregator of customer reviews for major retailers and industry, analyzed over a billion online reviews. Of the seventy percent of these posts found to be neutral or positive; nearly 30% contained the word “love.” So what motivates a customer to post a positive comment online about a product or service? And what effect does this have on the company? It goes without saying that the Internet has disrupted the way we do business. What is less well-understood is how organizations are using different approaches to business online, with varying degrees of success, and what disruptions they are causing in how business is conducted on the internet. Profit may drive business, but as study after study shows, profit is not a primary motivator for the individual, and the Internet has given voice to the people. Wikipedia is a perfect example. It’s an encyclopedia considered the most comprehensive repository of knowledge in the world, produced exclusively by people providing content and editing for free. It has flourished where the traditionally based and massively funded Microsoft Encarta version of the encyclopedia has failed. In an information economy, where an individual can broadcast knowledge, opinion or innovative ideas, the idea of “disruption” is the key to business success. How does business harness this disruptive power of the masses? How does business connect with customers and employees in an environment not motivated by the values we are taught in business school should motivate them? As part of a study and TEDx talk, I interviewed individuals in organizations $150m – $5 billion, who had posted comments or online reviews. Looking for motivators other than money and profit, I asked how can organizations engender positive affect online? I found that a company’s default reaction was to attempt to “control over” the online interaction in an effort to end the conversation and avoid negative feedback. More successful organizations do something very different. 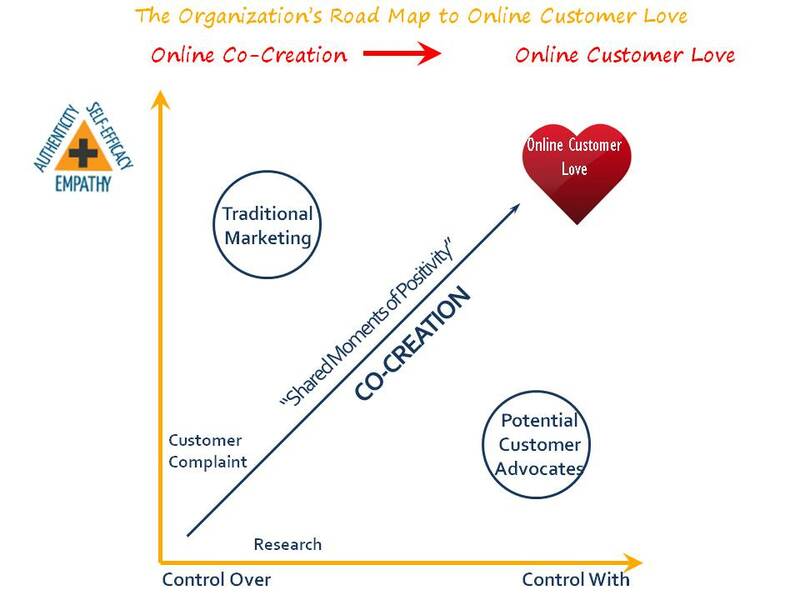 They give up a great deal of control and jointly create something new; they co-create online with their customers and employees.  These organizations recognized their online customers are not the final recipients of their message. Online, customers are a bridge for their message – a means for broad dissemination enabled by the Internet. When organizations interact online and co-create with individuals, the factors that most resonate are creating a sense of self-efficacy, empathy, and authenticity as well as shared control. 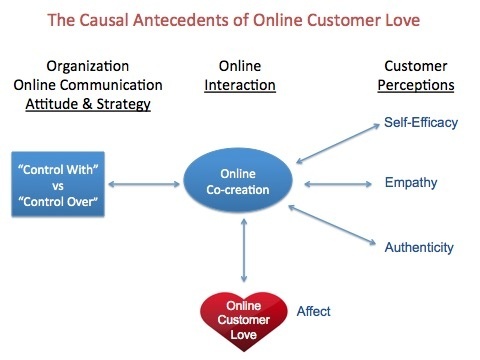 These factors engender “online customer love” and build an organization’s brand sentiment. Customer love is a huge opportunity for organizations to create disruption and competitive advantage in the markets in which they compete. TAB NY has grown to over 150 members on Long Island since its founding in 1999.